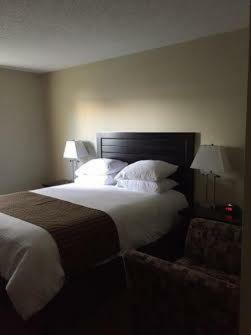 Lock in a great price for Okotoks Country Inn - rated 8.1 by recent guests. Really clean room. Bed was comfortable. Sheets were comfortable too - didn’t feel like sandpaper. Good clean accomodation. It's maybee basic, but the basics are good. The breakfast is standard but fine. If you need to stay in Okotoks it's a good place to consider. Cleanest hotel I have ever stayed in. 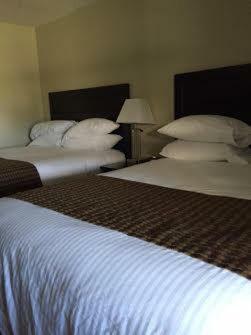 The beds were super comfortable and there was a good selection of pillows. Good location, very quiet. Desk clerk took great pains to ensure I got the best room available. 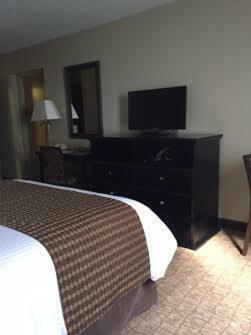 Room recently renovated and looked like new. Beds were most comfortable - had a great sleep. Breakfast was just right as I don't eat a big breakfast. Rooms were nice, clean, comfortable But no telephones for local calls and bed comforters that were meant for winter months. I this to their attention and told to ask for lighter covers next time. This property has charm. It was a country inn near the river so taking a walk was nice. The beds and pillows were good. Located in Okotoks, Alberta, 12.4 miles south of Calgary, this motel is 10 minutes’ walk from Olde Towne Plaza. It serves a deluxe continental breakfast every morning. 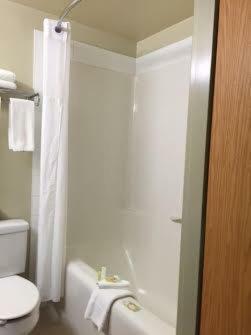 Free WiFi access and flat-screen LCD cable TV are provided in every room at Okotoks Country Inn. They are equipped with a refrigerator and a microwave and furnished with a work desk. The reception desk at the Country Inn is open 24 hours a day. It offers free newspapers and coffee, as well as fax and copy services. Fish Creek Provincial Park is 15.5 miles from the motel. Okotoks Cinema is less than 5 minutes’ drive away. Okotoks Country Inn has been welcoming Booking.com guests since 20 Dec 2011. 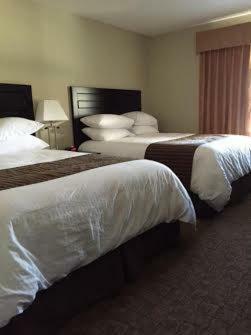 When would you like to stay at Okotoks Country Inn? This room includes free Wi-Fi access and coffee-making facilities. House rules Okotoks Country Inn takes special requests - add in the next step! Okotoks Country Inn accepts these cards and reserves the right to temporarily hold an amount prior to arrival. a hotel lounge/ bar would have been great! Continental breakfast was very weak. 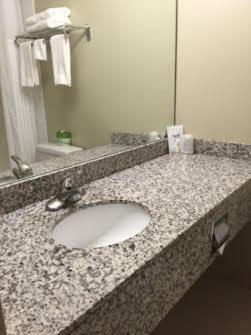 Was very comfortable, clean and suited our needs perfectly. Will be my first choice of hotels when we're back in the Okotoks area. All lights had dim cfls. Time to upgrade to leds which are inexpensive now. Nothing special about basic continental breakfast except bread for toast was thickly sliced. A Handicapped space near the enteance woukd be heloful. Not a big issue in warm weather but definitely something to implement by the icy winter season. Also a ramp type kerb rather than a step helps with moving luggage. An entrance sign to the parking lot would eliminate any confusion in accessing entry from the main intersection. The quiet was a blessing after a hard day, a lovely shower and the comfy bed. Thank you! A great central location with all shopping needs within walking distance. We are dog people and it was great to see they are welcome here. Absolutely no smoking. Was great to see! The comforters could have been more reasonably appropriate.